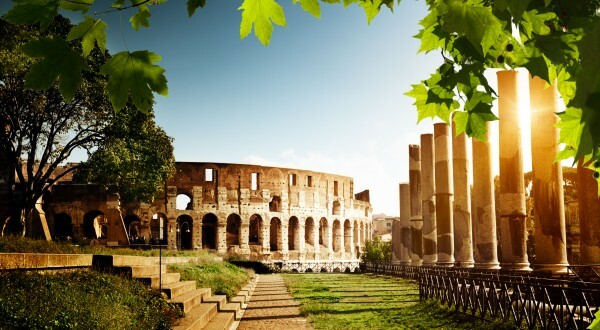 Take a once-in-a-lifetime journey through the iconic cities of Italy and discover the ancient legends of the gladiators in Rome, Renaissance artwork in Florence and the magical canals of Venice on this pre-set package tour. With exclusive pre-arranged tours with expert guides, accommodation and private transfers, this is the perfect tour on which to discover the must-see Italian cities and immerse yourself in the glorious Mediterranean culture. Price: Starts from $2595 per person (land rate). Packages can be booked with just a 20% deposit. Please refer to the Pricing box at the bottom of the page for more information on pricing and deposits. Flights: Please note that this package does not include flights. When purchasing your flights from your chosen airline, we recommend that you fly into Rome Fiumicino Airport and fly out of Venice Marco Polo Airport. If this is not possible for you but you would still like to book this package, please contact us for a customized quote or click “Request Quote” in the box at the top of the page. 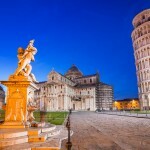 Itinerary: This Italy multi-city tour takes you to the three main touristic cities in Italy – Rome, Florence and Venice – allowing you to discover the iconic attractions in one Italy packaged tour. 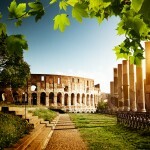 As a part of this unique Italy multi-city tour, you will enjoy the major attractions in Rome with guided tours of the Colosseum and Vatican City, as well as a decadent food tour so you can experience the flavors of Roman cuisine. 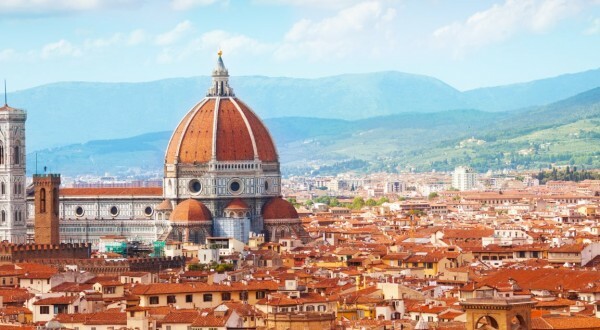 The multi-city tour then moves on to the Renaissance jewel of Florence, where you can discover iconic artwork with a special tour of the Accademia art gallery. You will also have the opportunity to enjoy day trips to Pisa and the famous Chianti wine region. 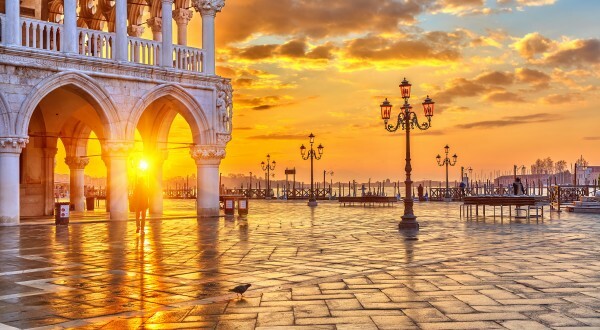 Finally, this Italy multi-city tour takes you to Venice, where you can recline in luxury with a romantic gondola tour of the Grand Canal, see the San Marco Basilica on a guided tour, and visit the nearby islands of Murano, Burano and Torcello on a pre-arranged day trip. Enjoy luxury from the moment you step food in this ancient city with a private car transfer from the airport to your centrally located hotel in central Rome. After settling in and relaxing in your comfortable and elegant room, why not step out onto the city streets to absorb the atmosphere of this iconic place and enjoy the hustle and bustle of Italian life. 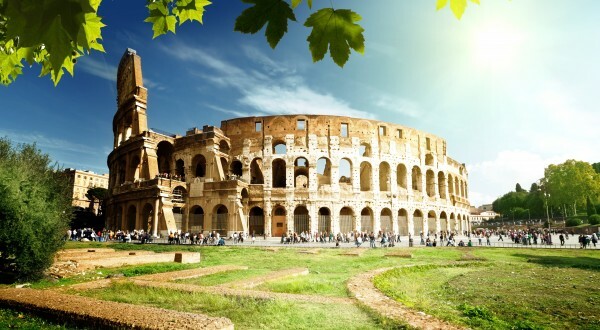 After enjoying a filling buffet breakfast at your hotel it’s time to discover the world’s most fascinating urban center on a fascinating half-day guided tour of Imperial Rome, featuring iconic delights, such as the Colosseum, Roman Forum and Piazza Venezia. Your knowledgeable guide will delight you with stories of the emperors and gladiators that once ruled this ancient city, and point out rare architecture and famous attractions. Today you’ll enjoy a four-hour private guided tour of Vatican City led by an art historian and featuring highlights, including the extensive museums, which house some of the world’s most important masterpieces, and the stunning St Peter’s Basilica – perhaps the most impressive church in the world! There will be plenty of time to ask your guide questions, allowing you to learn all the secrets of this glorious place. On your final night in Rome your taste buds will be treated to an evening sampling authentic Roman snacks and local wine at several local estates in and around Rome. What a wonderful way to say goodbye to the Eternal City! Day 5: Fair well Rome and hello Florence! Spend some time in the morning bidding fair well to the ancient city of Rome before enjoying a private car transfer to the train station, where you can recline on a first-class train to Florence. The rest of the late afternoon in Florence is yours to explore this artistic city, known for its Renaissance art, intricate architecture and vibrant Italian culture. Begin your guided tour in the heart of Florence, where you can absorb the majesty of the impressive Palazzo Vecchio and the epic Basilica before moving on to what will surely be the highlight of your dream vacation in Italy: Michelangelo’s glorious statue of “David” at the Galleria dell’Accademia. You’ll also have an opportunity to take in the best of Renaissance art at the Uffizi Gallery, which features an extensive collection of masterpieces, including Botticelli’s “Venus” – a masterpiece of intricate detail and beauty that truly takes your breath away! 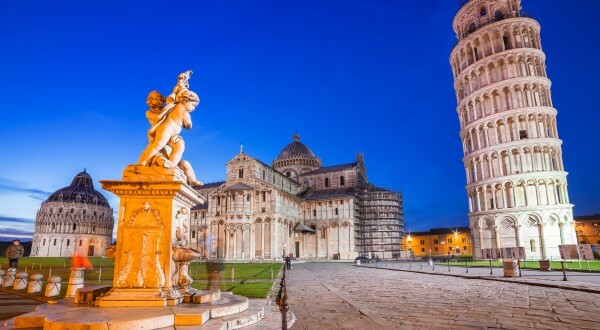 Enjoy a half-day guided tour to the famous city of Pisa, where you can visit the iconic Leaning Tower and Piazza dei Miracoli, where the beautiful Cathedral can be found. After a private car transfer from your hotel in Florence to central Pisa, your expert guide will explain to you the secrets and failures behind the tower’s construction and you will also have the opportunity to visit inside the tower, where you can climb the ancient steps up to the Bell Tower for panoramic views of the cityscape. There will also be plenty of time to absorb the delights of Piazza dei Miracoli or buy gifts for loved ones. On your final day in Florence you will be treated to an unforgettable day tour of the Chianti countryside, featuring stops in Tuscany’s most beautiful hidden gems: Siena and San Gimignano. The first stop on this stunning tour will be Monteriggioni, which is surrounded by ancient city walls, giving you a glimpse back in time through its historic architecture and quaint city streets. After enjoying the unique sights in Monteriggioni, the day will continue with a tour of the pretty town of Siena, where you will surely be enchanted by the architectural styles of the Cathedral and of the Palazzo Comunale in Piazza del Campo. After discovering the quaint charm of Siena you will have time to discover San Gimignano, which is famous for its local wine, called Vernaccia di San Gimignano, as well as its fragrant saffron and precious Santa Fina pottery. Here, you will have free time to explore the beautiful piazzas, pretty buildings and ancient churches before the tour continues with a breathtaking finale as you tour through scenic views of the lush Tuscan countryside to the iconic Chianti area, which is renowned as one of the most beautiful regions in the world. Here you can admire the beauty of its medieval hill-towns, castles, stone farmhouses and breath-taking landscapes, before stopping at an authentic wine estate, where you will have the pleasure of tasting some of the best wines of Tuscany, served with rich Italian snacks. We can’t think of a better way to end your unforgettable vacation in Florence! Day 9: Fall in love with Venice, the most romantic city in the world! After exploring the delights of Tuscany, it is time to discover Venice, the magical Floating City that continually enchants and seduces its visitors. You’ll arrive in style aboard a private water taxi from the train station and in the afternoon you’ll be treated to a romantic and special gondola tour of the Grand Canal, which also features the hidden inner canals – it’s an unforgettable way to begin your vacation in Venice. Experience the highlights of magical Venice with a specially appointed and accredited guide on this “absolute” tour, which allows you to discover the most famous sights of the historic center, including St Mark’s Square, Doge’s Palace and the glorious San Marco Basilica. Here, you will be treated to a one-hour tour of this majestic building, featuring a unique collection of Byzantine art, gold mosaics and exquisite marble floors. You will also be guided around Doge’s Palace, where you can explore the splendid rooms of the Palace, which include priceless works of art and decadent décor, giving you the opportunity to relive the days of supreme authority from yesteryear. As a special treat, this tour also features a trip to the famous Bridge of Sighs. 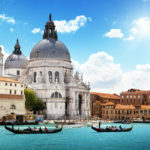 Explore the magic of the Venetian Lagoon on an exclusive island hopping tour that takes you by motorboat to the islands of Murano, Burano and Torcello, where you can watch the ancient art of glass blowing and intricate lace making, and enjoy the beauty of the colorful houses that line the quaint streets and alleyways. As a part of this excursion, you will have free time on each island to absorb the culture, stop for espresso and enjoy the lagoon views for a truly relaxing day of island hopping. 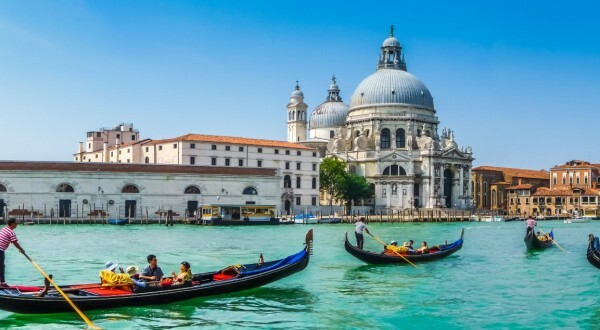 Today sees you leaving this remarkable country but you can still enjoy one last deep breath of fresh Venetian air as you enjoy a luxurious private water taxi to the airport for your flight home. Please note that the Vatican Museums in Rome and the San Marco Basilica in Venice are closed on Sundays and religious holidays, and the art galleries in Florence are closed on Mondays. In the case of unavailability, alternate itinerary options will be offered.